Item # 296906 Stash Points: 1,799 (?) This is the number of points you get in The Zumiez Stash for purchasing this item. Stash points are redeemable for exclusive rewards only available to Zumiez Stash members. To redeem your points check out the rewards catalog on thestash.zumiez.com. 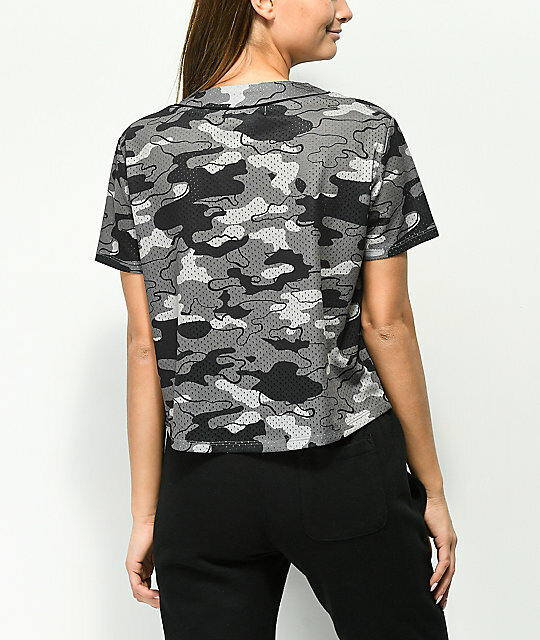 Known for their refreshingly edgy designs, Ninth Hall does it again with the Kent grey camo cropped jersey top. 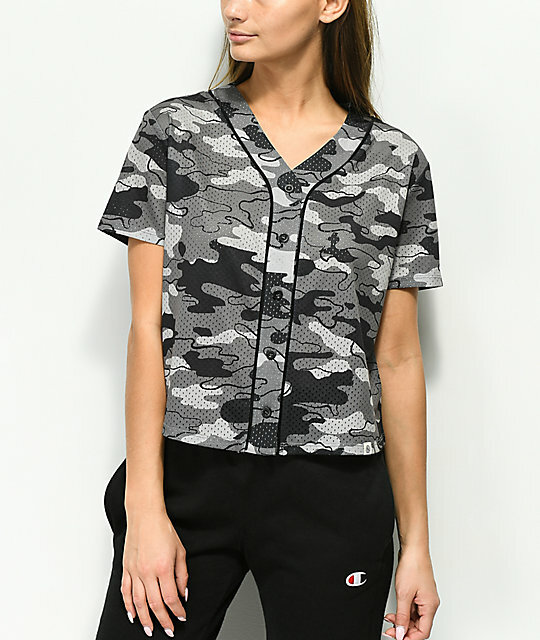 With a cropped baseball jersey silhouette, this button-up top features a lightweight mesh construction with a black and grey camouflage pattern throughout. 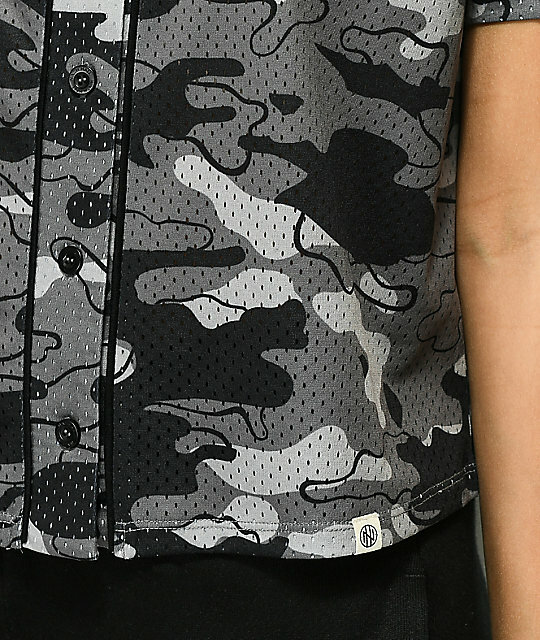 Kent Grey Camo Cropped Jersey Top from Ninth Hall. Grey and black camouflage pattern throughout. Baseball jersey silhouette with button-up placket. 20" (51cm) from the shoulder to the bottom hem.